According to Sapphire Resorts Group, there are many ways visitors can celebrate New Year’s Eve in Las Vegas. Sapphire Resorts Group wants tourists to know that New Year’s Eve can be everything and then some when celebrating in Las Vegas. Known for parties, clubs, shows and decadence, this city can be the obvious choice when seeking where to ring in 2016. Now this luxury lodging provider shows where visitors can get the full Sin City experience during this holiday. 2016 Midnight Rain. This top-rated nightclub club is offering packages for celebrants to enjoy five DJs, a premium open bar and three floors. Tinseltown 2016. Located at Planet Hollywood Resort and Casino, this nightclub will feature a Hollywood-themed party and much more. 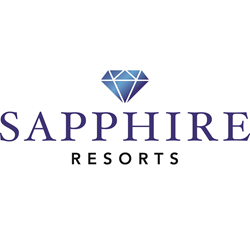 Sapphire Resorts Group notes that this club is the former site of Gallery. Party on the Moon. Various packages are available for partiers who want to celebrate New Year’s Eve atop the Palms Resort and Casino. Look down on the Strip in an unforgettable countdown experience. Hakkasan. This MGM Grand nightclub welcomes Tiësto, the Grammy-award winning performer, this New Year’s Eve. OMNIA. This 75,000 square-foot nightclub is located at Caesar’s Palace. Sapphire Resorts Group shares that well-known DJ Calvin Harris is to perform here New Year’s Eve. New Year’s Eve at the Smith Center. Enjoy listening to old favorites and Broadway hits in this grand musical performance. New Year’s Eve on the High Roller. Take a ride on this Ferris wheel or observation tower. Private cabins are offered for New Year’s Eve. Evolve Vegas NYE. This event is the only gay New Year’s Eve celebration held on the Strip. The Havana Nightclub at the Tropicana Hotel is the site for this party. ‘80s Night with the Spazmatics. Guests can enjoy dancing to music from the ‘80s while waiting for the countdown. R5 at the Venetian. Listen to the music of R5 at this show that begins at 7:30 on December 31. When visiting Las Vegas, New Year’s Eve can be the ideal night to catch a glimpse of all this party town has to offer. Sapphire Resorts Group reminds guest to make advance reservations when possible, as many of the popular events can sell out quickly.